Joe is co-founder of Paramount Development Corporation. 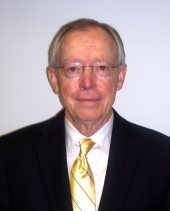 Joe has over 32 years of commercial real estate site selection and development experience. He began his real estate career with Kinney Shoes where he served for 19 years in various retail positions. Following his tenure with Kinney Shoes, Joe joined Pic n’ Pay Stores in 1976 as Regional Sales Director and Real Estate Manager and served in that capacity for eight years. From 1985 until 1989, Joe was employed by TSP Corporation, a Construction and Commercial Development Co. as Senior VP of Real Estate and Development. During those years, Joe developed Extensive Retailing, Site Selection and Development expertise, which made him uniquely qualified for the commercial real estate development business. Joe co-founded Paramount in 1990 and began developing commercial real estate projects throughout the eastern United States. Joe’s particular focus these days is oversight of all aspects of site selection and planning for all retail development projects. Joe is a member of the International Council of Shopping Centers and holds a real estate broker’s license in North Carolina, South Carolina and Tennessee. In his spare time, Joe enjoys playing golf and tennis.